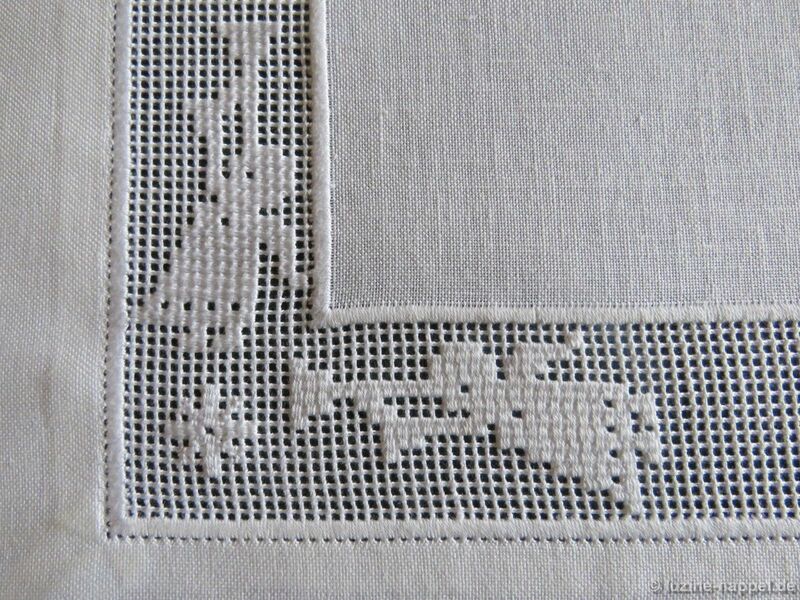 Trombone playing angels float around the center of a square doily. 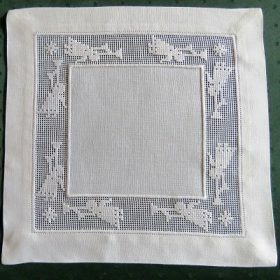 The finished doily measures about 37 cm X 37 cm. 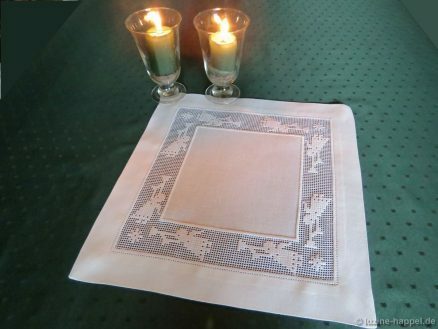 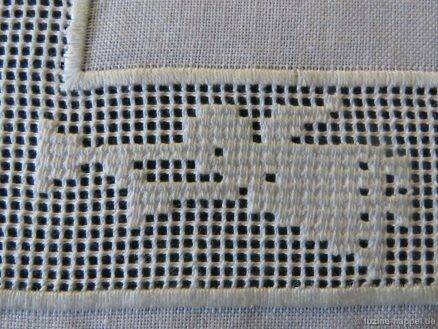 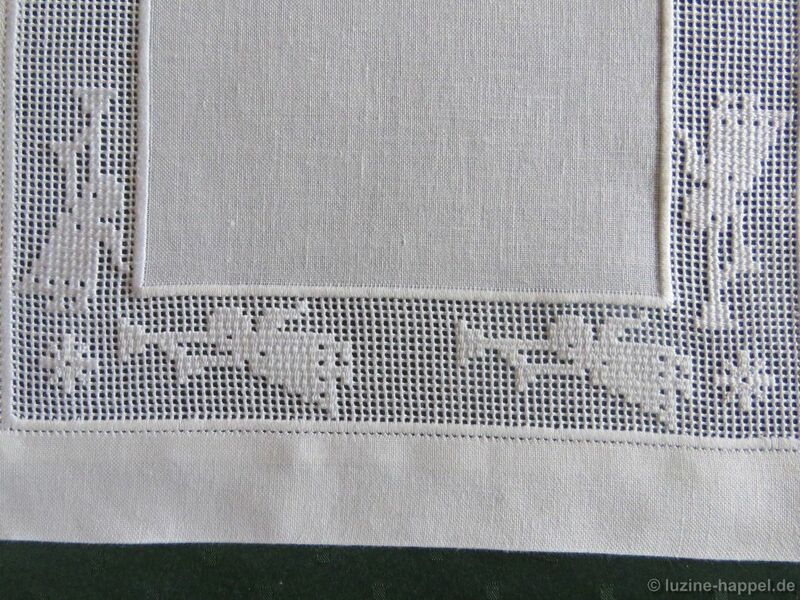 It was stitched on Weddigen linen with a 13.5/cm thread count. 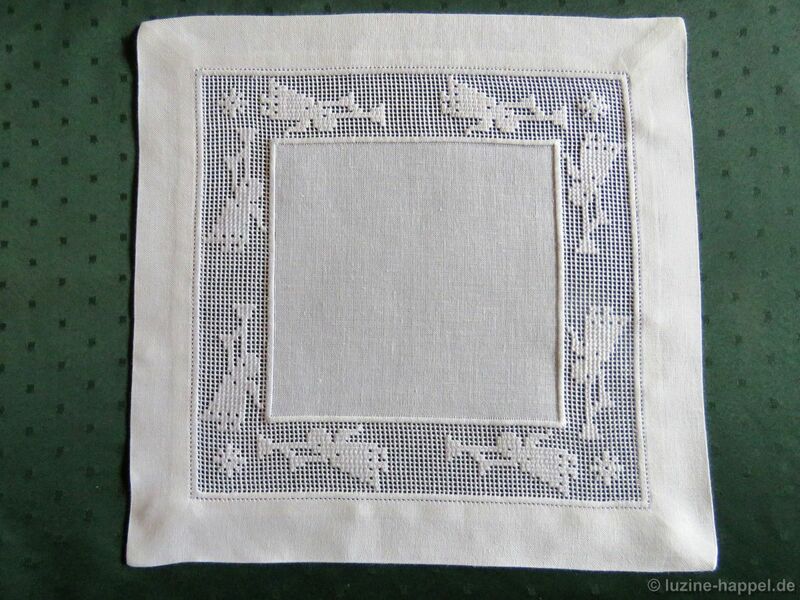 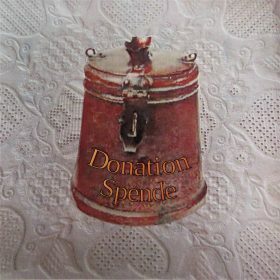 Next year I will share tips for creating the openwork grid in the necessary size on my blog. 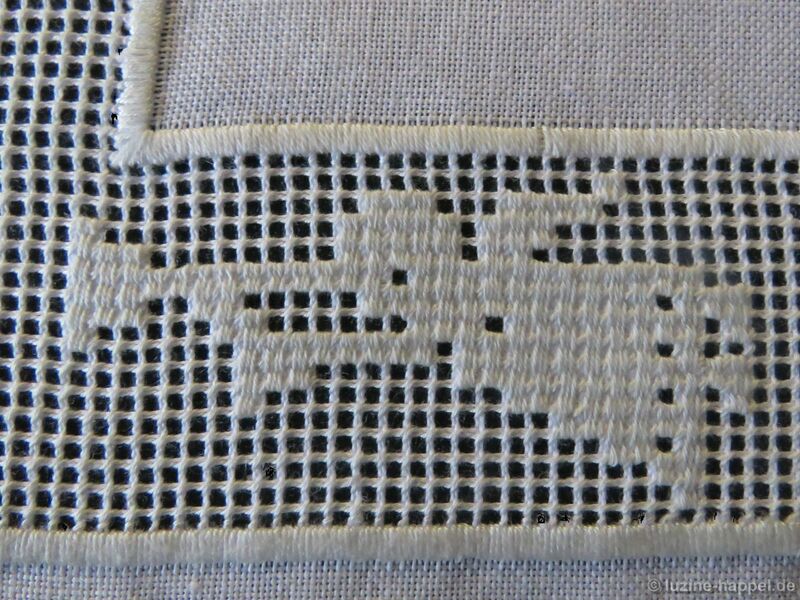 Into the openwork grid the angel motifs were embroidered with needle-weaving stitches. 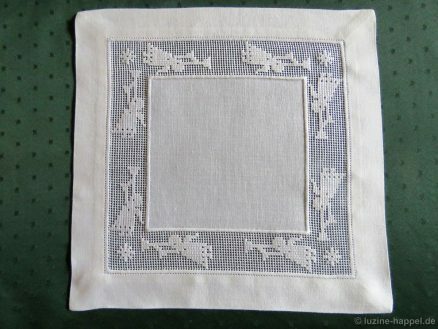 One can work the border design using only the angel motif, or stars can be added as complementary embellishment; they can be worked either in the corners or in the corners and between the angels. 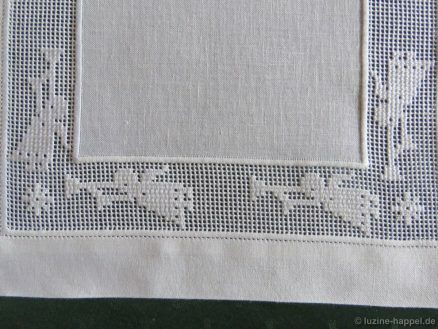 The stars should be worked either completely with Rose stitches or with a combination of Rose stitches and needle-weaving stitches as seen here. 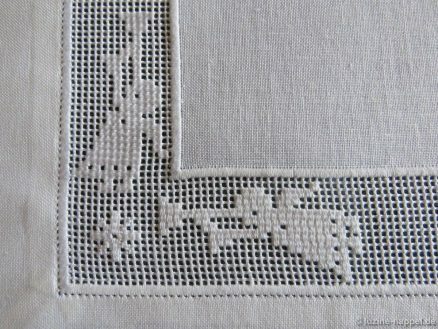 When laid on a contrasting ground, this pattern looks especially noble.